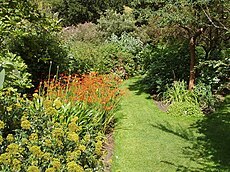 The Chelsea Physic Garden has cultivated medicinal plants since 1673. The plant shown here is montbretia (crocosmia aurea), used as a remedy for dysentery. This is a list of plants used or formerly used as herbal medicine. The ability to synthesize a wide variety of chemical compounds that are used to perform important biological functions, and to defend against attack from predators such as insects, fungi and herbivorous mammals is called herbal medicine. Many of these phytochemicals have beneficial effects on long-term health when consumed by humans, and can be used to effectively treat human diseases. At least 12,000 such compounds have been isolated so far; a number estimated to be less than 10% of the total. These phytochemicals are divided into (1) primary metabolites such as sugars and fats, which are found in all plants; and (2) secondary metabolites – compounds which are found in a smaller range of plants, serving a more specific function. For example, some secondary metabolites are toxins used to deter predation and others are pheromones used to attract insects for pollination. It is these secondary metabolites and pigments that can have therapeutic actions in humans and which can be refined to produce drugs—examples are inulin from the roots of dahlias, quinine from the cinchona, morphine and codeine from the poppy, and digoxin from the foxglove. Chemical compounds in plants mediate their effects on the human body through processes identical to those already well understood for the chemical compounds in conventional drugs; thus herbal medicines do not differ greatly from conventional drugs in terms of how they work. This enables herbal medicines to be as effective as conventional medicines, but also gives them the same potential to cause harmful side effects. In Europe, apothecaries stocked herbal ingredients for their medicines. In the Latin names for plants created by Linnaeus, the word officinalis indicates that a plant was used in this way. For example, the marsh mallow has the classification Althaea officinalis, as it was traditionally used as an emollient to soothe ulcers. Ayurvedic medicine, herbal medicine and traditional Chinese medicine are other examples of medical practices that incorporate medical uses of plants. Pharmacognosy is the branch of modern medicine about medicines from plant sources. 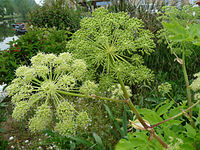 Plants included here are those that have been or are being used medicinally, in at least one such medicinal tradition. Acacia senegal Gum arabic A natural gum sourced from hardened sap of various species of acacia tree used as a binder and emulsifier. Achillea millefolium Common yarrow Purported to be a diaphoretic, astringent, tonic, stimulant and mild aromatic. Actaea racemosa Black cohosh Historically used for arthritis and muscle pain, used more recently for conditions related to menopause and menstruation. Aesculus hippocastanum Horse chestnut Its seeds, leaves, bark, and flowers have been used medicinally for many centuries. The raw plant materials are toxic unless processed. 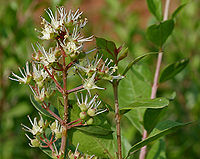 Ageratina altissima White snakeroot Root tea has been used to treat diarrhea, kidney stones, and fever. A root poultice can be used on snakebites. Alcea rosea Common hollyhock Believed to be an emollient and laxative. It is used to control inflammation, to stop bedwetting and as a mouthwash in cases of bleeding gums. Alisma plantago-aquatica Water-plantain Used for the urinary tract. Allium sativum Garlic Widely used as an antibiotic and, more recently, for treating cardiovascular disease Garlic is a monoamine oxidase inhibitor and has antidepressant-like effects on mice so might be used as a herbal antidepressant or anxiolytic in humans. Aloe vera Aloe vera Leaves are widely used to heal burns, wounds and other skin ailments. Amorphophallus konjac Konjac Significant dietary source of glucomannan, which is used in treating obesity, constipation, and reducing cholesterol. Anemone hepatica Common hepatica Historically used to treat liver diseases, it is still used in alternative medicine today. Other modern applications by herbalists include treatments for pimples, bronchitis and gout. Angelica archangelica Garden angelica Roots have been used in the traditional Austrian medicine internally as tea or tincture for treatment of disorders of the gastrointestinal tract, respiratory tract, nervous system, and also against fever, infections, and flu. Angelica sinensis Dong quai Used for thousands of years in Asia, primarily in women’s health. Apium graveolens Celery Seed is used only occasionally in tradition medicine. Modern usage is primarily as a diuretic. Arctium lappa Burdock Used traditionally as a diuretic and to lower blood sugar and, in traditional Chinese medicine as a treatment for sore throat and symptoms of the common cold. Arnica montana Arnica Used as an anti-inflammatory and for osteoarthritis. The US Food and Drug Administration has classified Arnica montana as an unsafe herb because of its toxicity. It should not be taken orally or applied to broken skin where absorption can occur. Astragalus propinquus Astragalus Long been used in traditional Chinese medicine to strengthen the immune system, and is used in modern China to treat hepatitis and as an adjunctive therapy in cancer. Atropa belladonna Belladonna Although toxic, was used historically in Italy by women to enlarge their pupils, as well as a sedative, among other uses. The name itself means “beautiful woman” in Italian. 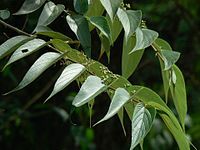 Azadirachta indica Neem Used in India to treat worms, malaria, rheumatism and skin infections among many other things. Its many uses have led to neem being called “the village dispensary” in India. Bellis perennis Daisy Flowers have been used in the traditional Austrian medicine internally as tea (or the leaves as a salad) for treatment of disorders of the gastrointestinal and respiratory tract. Berberis vulgaris Barberry Long history of medicinal use, dating back to the Middle Ages particularly among Native Americans. Uses have included skin ailments, scurvy and gastro-intestinal ailments. Borago officinalis Borage Used in hyperactive gastrointestinal, respiratory and cardiovascular disorders, such as gastrointestinal (colic, cramps, diarrhea), airways (asthma, bronchitis), cardiovascular, (cardiotonic, antihypertensive and blood purifier), urinary (diuretic and kidney/bladder disorders). Broussonetia kurzii Salae Known as Salae in Thailand where this species is valued as a medicinal plant. Cannabis Cannabis Used worldwide since ancient times as treatment for various conditions and ailments including pain, inflammation, gastrointestinal issues such as IBS, muscle relaxation, anxiety, Alzheimer’s and dementia, ADHD, autism, cancer, cerebral palsy, recurring headaches, Crohn’s disease, depression, epilepsy, glaucoma, insomnia, and neuropathy among others. Capsicum annuum Cayenne Type of chili that has been used as both food and medicine for thousands of years. Uses have included reducing pain and swelling, lowering triglyceride and cholesterol levels and fighting viruses and harmful bacteria, due to high levels of Vitamin C.
Capsicum frutescens Chili Its active ingredient, capsaicine, is the basic of commercial pain-relief ointments in Western medicine. The low incidence of heart attack in Thais may be related to capsaicine’s fibronolytic action (dissolving blood clots). Carica papaya Papaya Used for treating wounds and stomach troubles. Cassia occidentalis Coffee senna Used in a wide variety of roles in traditional medicine, including in particular as a broad-spectrum internal and external antimicrobial, for liver disorders, for intestinal worms and other parasites and as an immune-system stimulant. Catha edulis Khat Mild stimulant used for thousands of years in Yemen, and is banned today in many countries. Contains the amphetamine-like substance cathinone. Cayaponia espelina São Caetano melon It is a diuretic and aid in the treatment of diarrhea and syphilis. 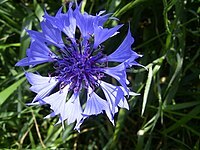 Centaurea cyanus Cornflower In herbalism, a decoction of cornflower is effective in treating conjunctivitis and as a wash for tired eyes. Chrysopogon zizanioides Vetiver Used for skin care. Cinchona spec. Cinchona Genus of about 38 species of trees whose bark is a source of alkaloids, including quinine. Its use as a febrifuge was first popularized in the 17th century by Peruvian Jesuits. Citrus × aurantium Bitter orange Used in traditional Chinese medicine and by indigenous peoples of the Amazon for nausea, indigestion and constipation. 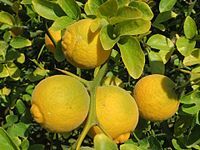 Citrus limon Lemon Along with other citruses, it has a long history of use in Chinese and Indian traditional medicine. In contemporary use, honey and lemon is common for treating coughs and sore throat. Citrus trifoliata Trifoliate orange, bitter orange Fruits of Citrus trifoliata are widely used in Oriental medicine as a treatment for allergic inflammation. Cissampelos pareira Velvetleaf Used for a wide variety of conditions. Cnicus benedictus Blessed thistle Used during the Middle Ages to treat bubonic plague. In modern times, herbal teas made from blessed thistle are used for loss of appetite, indigestion and other purposes. Crataegus monogyna and Crataegus laevigata Hawthorn Fruit has been used for centuries for heart disease. Other uses include digestive and kidney related problems. Curcuma longa Turmeric Spice that lends its distinctive yellow color to Indian curries, has long been used in Ayurvedic and traditional Chinese medicine to aid digestion and liver function, relieve arthritis pain, and regulate menstruation. Cypripedium parviflorum Yellow lady’s slipper The Cypripedium species have been used in native remedies for dermatitis, tooth aches, anxiety, headaches, as an antispasmodic, stimulant and sedative. However, the preferred species for use are Cyp. parviflorum and Cyp.acaule, used as topical applications or tea. Digitalis lanata Digitalis or foxglove It came into use in treating cardiac disease in late 18th century England in spite of its high toxicity.a Its use has been almost entirely replaced by the pharmaceutical derivative Digoxin, which has a shorter half-life in the body, and whose toxicity is therefore more easily managed. Digoxin is used as an antiarrhythmic agent and inotrope. 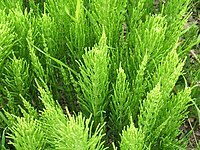 Equisetum arvense Horsetail Dates back to ancient Roman and Greek medicine, when it was used to stop bleeding, heal ulcers and wounds, and treat tuberculosis and kidney problems. Eriodictyon crassifolium Yerba Santa Used by the Chumash people to keep airways open for proper breathing. Eschscholzia californica Californian poppy Used as an herbal remedy: an aqueous extract of the plant has sedative and anxiolytic actions. Eucalyptus globulus Eucalyptus Leaves were widely used in traditional medicine as a febrifuge. Eucalyptus oil is commonly used in over-the-counter cough and cold medications, as well as for an analgesic. Euonymus atropurpureus Wahoo Plant is a purgative and might affect the heart. Euphorbia hirta Asthma-plant Used traditionally in Asia to treat bronchitic asthma and laryngeal spasm. It is used in the Philippines for dengue fever. Euterpe oleracea Açai Although açai berries are a longstanding food source for indigenous people of the Amazon, there is no evidence that they have historically served a medicinal, as opposed to nutritional role. In spite of their recent popularity in the United States as a dietary supplement, there is currently no evidence for their effectiveness for any health-related purpose. Ferula assa-foetida Asafoetida Might be useful for IBS, high cholesterol, and breathing problems. Frangula alnus Alder buckthorn Bark (and to a lesser extent the fruit) has been used as a laxative, due to its 3 – 7% anthraquinone content. Bark for medicinal use is dried and stored for a year before use, as fresh bark is violently purgative; even dried bark can be dangerous if taken in excess. Fumaria officinalis Fumitory Traditionally thought to be good for the eyes and to remove skin blemishes. In modern times herbalists use it to treat skin diseases and conjunctivitis, as well as to cleanse the kidneys. 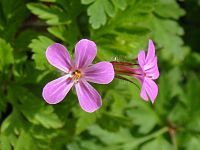 However, Howard (1987) warns that fumitory is poisonous and should only be used under the direction of a medical herbalist. 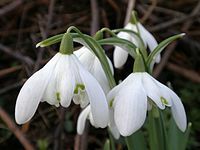 Galanthus Snowdrop It contains an active substance called galantamine, which is an acetylcholinesterase inhibitor. Galantamine (or galanthamine) can be helpful in the treatment of Alzheimer’s disease, though it is not a cure. Geranium robertianum Robert geranium In traditional herbalism, it was used as a remedy for toothache and nosebleeds and as a vulnerary (used for or useful in healing wounds). Ginkgo biloba Ginkgo The leaf extract has been used to treat asthma, bronchitis, fatigue, Alzheimer’s and tinnitus. 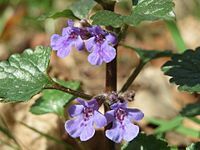 Glechoma hederacea Ground-ivy It has been used as a “lung herb”. Other traditional uses include as an expectorant, astringent, and to treat bronchitis. The essential oil of the plant has been used for centuries as a general tonic for colds and coughs, and to relieve congestion of the mucous membranes. Glycyrrhiza glabra Licorice root It has a long history of medicinal usage in Eastern and Western medicine. Uses include stomach ulcers, bronchitis, and sore throat, as well as infections caused by viruses, such as hepatitis. Hamamelis virginiana Common witch-hazel It produces a specific kind of tannins called hamamelitannins. One of those substances displays a specific cytotoxic activity against colon cancer cells. Hippophae rhamnoides Sea buckthorn The leaves are used as herbal medicine to alleviate cough and fever, pain, and general gastrointestinal disorders as well as to cure dermatologic disorders. Similarly, the fruit juice and oils can be used in the treatment of liver disease, gastrointestinal disorders, chronic wounds or other dermatological disorders. Hoodia gordonii Hoodia The plant is traditionally used by Kalahari San (Bushmen) to reduce hunger and thirst. It is currently marketed as an appetite suppressant. Hydrastis canadensis Goldenseal It was used traditionally by Native Americans to treat skin diseases, ulcers, and gonorrhea. 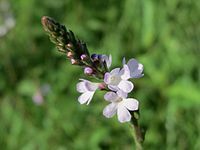 More recently, the herb has been used to treat the respiratory tract and a number of other infections. Hypericum perforatum St. John’s wort Widely used within herbalism for depression. Evaluated for use as an antidepressant, but with ambiguous results. Hyssopus officinalis Hyssop It is used for digestive and intestinal problems including liver and gallbladder conditions, intestinal pain, intestinal gas, colic, and loss of appetite. It is also used for respiratory problems including coughs, the common cold, respiratory infections, sore throat, and asthma. Ilex paraguariensis Yerba mate It has been claimed to have various effects on human health and these effects have been attributed to the high quantity of polyphenols found in mate tea. Mate contains compounds that act as an appetite suppressant, increases mental energy and focus, and improves mood. Yerba mate also contains elements such as potassium, magnesium, and manganese. 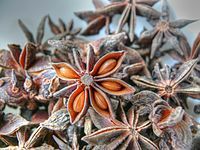 Illicium verum Star anise It is the major source of the chemical compound shikimic acid, a primary precursor in the pharmaceutical synthesis of anti-influenza drug oseltamivir (Tamiflu). Inula helenium Elecampane It is used in herbal medicine as an expectorant and for water retention. 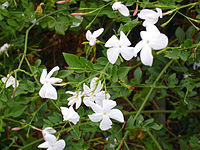 Jasminum officinale Jasmine It is used in dermatology as either an antiseptic or anti-inflammatory agent. Knautia arvensis Field scabious The whole plant is astringent and mildly diuretic. An infusion is used internally as a blood purifier and externally for treating cuts, burns and bruises. Larrea tridentata Chaparral The leaves and twigs are used by Native Americans to make a herbal tea used for a variety of conditions, including arthritis, cancer and a number of others. Subsequent studies have been extremely variable, at best. Chaparral has also been shown to have high liver toxicity, and has led to kidney failure, and is not recommended for any use by the U.S. Food and Drug Administration (FDA) or American Cancer Society. Laurus nobilis Bay laurel Aqueous extracts of bay laurel can be used as astringents and even as a reasonable salve for open wounds. 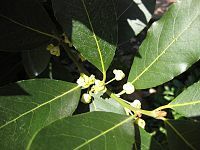 In massage therapy, the essential oil of bay laurel is reputed to alleviate arthritis and rheumatism, while in aromatherapy it is used to treat earaches and high blood pressure. Lavandula angustifolia Lavender It was traditionally used as an antiseptic and for mental health purposes. It was also used in ancient Egypt in mummifying bodies. There is little scientific evidence that lavender is effective for most mental health uses. Lawsonia inermis Henna The plants exhibits potential antibacterial activity. The alcoholic extract of the root has antibacterial activity due to the presence of flavonoid and alkaloids. Henna is also thought to show anti-inflammatory, antipyretic, and analgesic effects in experimental animals. Leucojum aestivum Summer snowflake It is known to contain Galantamine (Nivalin, Razadyne, Razadyne ER, Reminyl, Lycoremine in pharmaceutical format). It is used for the treatment of mild to moderate Alzheimer’s disease and various other memory impairments, in particular those of vascular origin. Magnolia officinalis Magnolia-bark The bark contains magnolol and honokiol, two polyphenolic compounds. Preclinical studies have evaluated their various potential applications including antioxidant, anti-inflammatory, antitumor, and antimicrobial properties. Malva sylvestris Mallow The seeds are used internally in a decoction or herbal tea as a demulcent and diuretic, and the leaves made into poultices as an emollient for external applications. 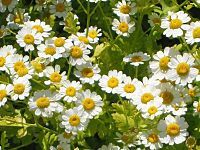 Matricaria recutita and Anthemis nobilis Chamomile It has been used over thousands of years for a variety of conditions, including sleeplessness, anxiety, and gastrointestinal conditions such as upset stomach, gas, and diarrhea. Medicago sativa Alfalfa The leaves are used to lower cholesterol, as well as forum kidney and urinary tract ailments, although there is insufficient scientific evidence for its efficacy. Melaleuca alternifolia Tea tree oil It has been used medicinally for centuries by Australian aboriginal people. Modern usage is primarily as an antibacterial or antifungal agent. Melissa officinalis Lemon balm It is used as a sleep aid and digestive aid. Mentha x piperita Peppermint Its oil, from a cross between water mint and spearmint, has a history of medicinal use for a variety of conditions, including nausea, indigestion, and symptoms of the common cold. Mitragyna speciosa Kratom Kratom is known to prevent or delay withdrawal symptoms in an opioid-dependent individual, and it is often used to mitigate cravings thereafter. It can also be used for other medicinal purposes. Kratom has been traditionally used in regions such as Malaysia, Thailand, and Indonesia. Momordica charantia Bitter melon The plant is used as an agent to reduce the blood glucose level. Morinda citrifolia Noni It has a history of use as for joint pain and skin conditions. Nasturtium officinale Watercress It may be diuretic and antibacterial. Nelumbo nucifera Lotus Sacred lotus has been the subject of a number of in-vitro and animal studies, exploring its pharmacologic effects, including antioxidant, hepatoprotective, immunomodulatory, anti-infective, hyperlipidemic, and psychopharmacologic activity although clinical trials are lacking. Nigella sativa Nigella, black-caraway, black-cumin, and kalonji It has efficacy as a therapy, mainly using the seed oil extract, volatile oil, and isolated constituent thymoquinone. One meta-analysis of clinical trials concluded that N. sativa has a short-term benefit on lowering systolic and diastolic blood pressure. 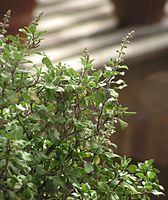 Ocimum tenuiflorum Tulsi or Holy Basil It is used for a variety of purposes in medicine tulasi is taken in many forms: as herbal tea, dried powder, fresh leaf or mixed with ghee. Essential oil extracted from Karpoora tulasi is mostly used for medicinal purposes and in herbal cosmetics. Oenothera Evening primrose Its oil has been used since the 1930s for eczema, and more recently as an anti-inflammatory. Origanum vulgare Oregano Used as an abortifacient in folk medicine in some parts of Bolivia and other northwestern South American countries, though no evidence of efficacy exists in Western medicine. Hippocrates used oregano as an antiseptic, as well as a cure for stomach and respiratory ailments. 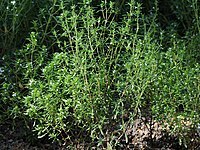 A Cretan oregano (O. dictamnus) is still used today in Greece as a palliative for sore throat. Evidence of efficacy in this matter is lacking. Panax spec. Ginseng Used medicinally, in particular in Asia, for over 2,000 years, and is widely used in modern society. Papaver somniferum Opium poppy The plant is the plant source of morphine, used for pain relief. Morphine made from the refined and modified sap is used for pain control in terminally ill patients. Dried sap was used as a traditional medicine until the 19th century. Passiflora Passion flower Thought to have anti-depressant properties. Unknown MOA. Used in traditional medicine to aid with sleep or depression. Peganum harmala Syrian Rue (aka Harmal) Can be used as an antidepressant, but carries significant risk. Used in traditional shamanistic rites in the amazon, and is a component of Ayahuasca, Caapi or Yajé (which is actually usually Banisteriopsis caapi but has the same active alkaloids). Piscidia erythrina / Piscidia piscipula Jamaica dogwood The plant is used in traditional medicine for the treatment of insomnia and anxiety, despite serious safety concerns. A 2006 study suggested medicinal potential. Plantago lanceolata Plantain It is used frequently in herbal teas and other herbal remedies. A tea from the leaves is used as a highly effective cough medicine. In the traditional Austrian medicine Plantago lanceolata leaves have been used internally (as syrup or tea) or externally (fresh leaves) for treatment of disorders of the respiratory tract, skin, insect bites, and infections. Platycodon grandiflorus Platycodon, balloon flower The extracts and purified platycoside compounds (saponins) from the roots may exhibit neuroprotective, antimicrobial, anti-inflammatory, anti-cancer, anti-allergy, improved insulin resistance, and cholesterol-lowering properties. Polemonium reptans Abscess root It is used to reduce fever, inflammation, and cough. Psidium guajava Guava It has a rich history of use in traditional medicine. It is traditionally used to treat diarrhea; however, evidence of its effectiveness is very limited. Ptelea trifoliata Wafer Ash The root bark is used for the digestive system. Also known as hoptree. 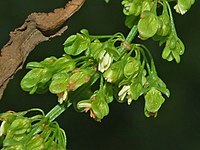 Quassia amara Amargo, bitter-wood A 2012 study found a topical gel with 4% Quassia extract to be a safe and effective cure of rosacea. 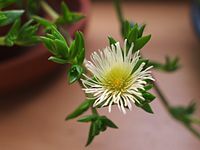 Reichardia tingitana False sowthistle Uses in folk medicine have been recorded in the Middle East, its leaves being used to treat ailments such as constipation, colic and inflamed eyes. Rosa majalis Cinnamon rose It yields edible hip fruits rich in vitamin C, which are used in medicine and to produce rose hip syrup. Rosmarinus officinalis Rosemary It has been used medicinally from ancient times. Ruellia tuberosa Minnieroot, fever root, snapdragon root In folk medicine and Ayurvedic medicine it has been used as a diuretic, anti-diabetic, antipyretic, analgesic, antihypertensive, gastroprotective, and to treat gonorrhea. Rumex crispus Curly dock or yellow dock In Western herbalism the root is often used for treating anemia, due to its high level of iron. The plant will help with skin conditions if taken internally or applied externally to things like itching, scrofula, and sores. It is also used for respiratory conditions, specifically those with a tickling cough that is worse when exposed to cold air. It mentions also passing pains, excessive itching, and that it helps enlarged lymphs. Salix alba White willow Plant source of salicylic acid, white willow is like the chemical known as aspirin, although more likely to cause stomach upset as a side effect than aspirin itself which can cause the lining in your stomach to be destroyed. Used from ancient times for the same uses as aspirin. Sambucus nigra Elderberry The berries and leaves have traditionally been used to treat pain, swelling, infections, coughs, and skin conditions and, more recently, flu, common cold, fevers, constipation, and sinus infections. Santalum album Indian sandalwood Sandalwood oil has been widely used in folk medicine for treatment of common colds, bronchitis, skin disorders, heart ailments, general weakness, fever, infection of the urinary tract, inflammation of the mouth and pharynx, liver and gallbladder complaints and other maladies. 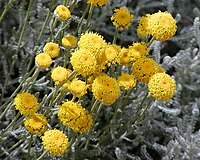 Santolina chamaecyparissus Cotton lavender Most commonly, the flowers and leaves are made into a decoction used to expel intestinal parasites. Saraca indica Ashoka tree The plant is used in Ayurvedic traditions to treat gynecological disorders. The bark is also used to combat oedema or swelling. 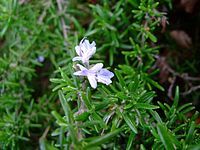 Satureja hortensis Summer savory Its extracts show antibacterial and antifungal effects on several species including some of the antibiotic resistant strains. Sceletium tortuosum Kanna African treatment for depression. Suggested to be an SSRI or have similar effects, but unknown mechanism of activity. Senna auriculata Avaram senna The root is used in decoctions against fevers, diabetes, diseases of urinary system and constipation. The leaves have laxative properties. The dried flowers and flower buds are used as a substitute for tea in case of diabetes patients. The powdered seed is also applied to the eye, in case of chronic purulent conjunctivitis. 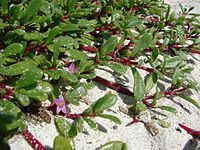 Sesuvium portulacastrum Shoreline purslane The plant extract showed antibacterial and anticandidal activities and moderate antifungal activity. Silybum marianum Milk thistle It has been used for thousands of years for a variety of medicinal purposes, in particular liver problems. 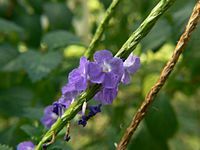 Stachytarpheta cayennensis Blue snakeweed Extracts of the plant are used to ease the symptoms of malaria. The boiled juice or a tea made from the leaves or the whole plant is taken to relieve fever and other symptoms. It is also used for dysentery, pain, and liver disorders. A tea of the leaves is taken to help control diabetes in Peru and other areas. Laboratory tests indicate that the plant has anti-inflammatory properties. 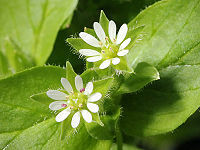 Stellaria media Common chickweed It has been used as a remedy to treat itchy skin conditions and pulmonary diseases. 17th century herbalist John Gerard recommended it as a remedy for mange. Modern herbalists prescribe it for iron-deficiency anemia (for its high iron content), as well as for skin diseases, bronchitis, rheumatic pains, arthritis and period pain. Strobilanthes callosus Karvy The plant is anti-inflammatory, antimicrobial, and anti-rheumatic. Symphytum officinale Comfrey It has been used as a vulnerary and to reduce inflammation. 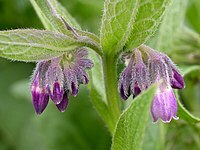 It was also used internally in the past, for stomach and other ailments, but its toxicity has led a number of other countries, including Canada, Brazil, Australia, and the United Kingdom, to severely restrict or ban the use of comfrey. Syzygium aromaticum Clove The plant is used for upset stomach and as an expectorant, among other purposes. The oil is used topically to treat toothache. Tanacetum parthenium Feverfew The plant has been used for centuries for fevers, headaches, stomach aches, toothaches, insect bites and other conditions. Taraxacum officinale Dandelion It was most commonly used historically to treat liver diseases, kidney diseases, and spleen problems. Teucrium scordium Water germander It has been used for asthma, diarrhea, fever, intestinal parasites, hemorrhoids, and wounds. Thymus vulgaris Thyme The plant is used to treat bronchitis and cough. It serves as an antispasmodic and expectorant in this role. It has also been used in many other medicinal roles in Asian and Ayurvedic medicine, although it has not been shown to be effective in non-respiratory medicinal roles. 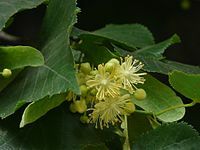 Tilia cordata Small-leaved linden In the countries of Central, Southern and Western Europe, linden flowers are a traditional herbal remedy made into an herbal tea called tisane. Tradescantia zebrina Inchplant It is used in southeast Mexico in the region of Tabasco as a cold herbal tea, which is named Matali. Skin irritation may result from repeated contact with or prolonged handling of the plant, particularly from the clear, watery sap (a characteristic unique to T. zebrina as compared with other types). Trema orientalis Charcoal-tree The leaves and the bark are used to treat coughs, sore throats, asthma, bronchitis, gonorrhea, yellow fever, toothache, and as an antidote to general poisoning. Trifolium pratense Red clover The plant is an ingredient in some recipes for essiac tea. Research has found no benefit for any human health conditions. Triticum aestivum Wheatgrass It may contain antioxidant and anti-inflammatory compounds. Turnera subulata White buttercup It is used for skin, gastrointestinal, and respiratory ailments. Laboratory tests showed it has some inhibitory activity against various fungi, such as Candida glabrata, Aspergillus flavus, A. niger, A. fumigatus, Penicillium chrysogenum, and Candida albicans. Uncaria tomentosa Cat’s claw It has a long history of use in South America to prevent and treat disease. Urtica dioica Common nettle, stinging nettle It has been used in the traditional Austrian medicine internally (as tea or fresh leaves) to treat disorders of the kidneys and urinary tract, gastrointestinal tract, locomotor system, skin, cardiovascular system, hemorrhage, influenza, rheumatism, and gout. Vaccinium spec. 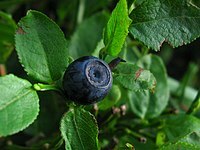 Blueberries They are of current medical interest as an antioxidant and for urinary tract ailments. Vaccinium macrocarpon Cranberry It was used historically as a vulnerary and for urinary disorders, diarrhea, diabetes, stomach ailments, and liver problems. Modern usage has concentrated on urinary tract related problems. Vaccinium myrtillus Bilberry It is used to treat diarrhea, scurvy, and other conditions. 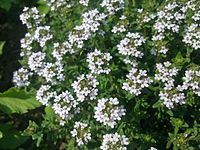 Valeriana officinalis Valerian It has been used since at least ancient Greece and Rome for sleep disorders and anxiety. Verbascum thapsus Common mullein It contains glycyrrhizin compounds with bactericide and potential anti-tumoral action. These compounds are concentrated in the flowers. Verbena officinalis Verbena It is used for sore throats and respiratory tract diseases. Vernonia amygdalina Bitter leaf The plant is used by both primates and indigenous peoples in Africa to treat intestinal ailments such as dysentery. Veronica officinalis Veronica The plant is used for sinus and ear infections. 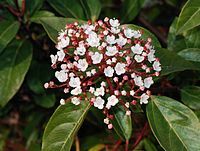 Viburnum tinus Laurustinus V. tinus has medicinal properties. The active ingredients are viburnin (a substance or more probably a mixture of compounds) and tannins. Tannins can cause stomach upset. The leaves when infused have antipyretic properties. The fruits have been used as purgatives against constipation. The tincture has been used lately in herbal medicine as a remedy for depression. The plant also contains iridoid glucosides. Viola tricolor Wild pansy It is one of many viola plant species containing cyclotides. These small peptides have proven to be useful in drug development due to their size and structure giving rise to high stability. Many cyclotides, found in Viola tricolor are cytotoxic. This feature means that it could be used to treat cancers. 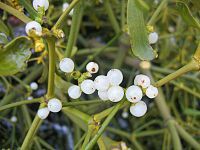 Viscum album European mistletoe It has been used to treat seizures, headaches, and other conditions. Vitex agnus-castus Chasteberry It has been used for over thousands of years for menstrual problems, and to stimulate lactation. Vitis vinifera Grape The leaves and fruit have been used medicinally since the ancient Greeks. Withania somnifera Ashwagandha The plant’s long, brown, tuberous roots are used in traditional medicine. In Ayurveda, the berries and leaves are applied externally to tumors, tubercular glands, carbuncles, and ulcers. Xanthoparmelia scabrosa n.n It is a lichen used for sexual dysfunction. Youngia japonica Japanese hawkweed The plant is antitussive and febrifuge. It is also used in the treatment of boils and snakebites. Zingiber officinale Ginger The plant is used to relieve nausea. Elizabeth M. Manhã; Maria C. Silva; Maria G. C. Alves; Maurício B. Almeida; Maria G. L. Brandão (October 3, 2008). “PLANT – A bibliographic database about medicinal plants”. Retrieved 2010-09-29. James Duke. “Dr. Duke’s Phytochemical and Ethnobotanical Databases”. Retrieved 2011-09-29. “Tropical Plant Database”. Raintree. Retrieved 2011-10-18. “Plant Database”. Plants for a Future. Retrieved 2011-10-18. “Vitamins & Supplements Center”. WebMD. Retrieved 2015-04-06. ^ Digitalis use in the United States is controlled by the U.S. Food and Drug Administration and can only be prescribed by a physician. Misuse can cause death. This encyclopedia is not a substitute for medical advice nor a complete description of these herbs, their dangers (up to and including death), and their (in)compatibility with alcohol or other drugs. ^ a b Tapsell LC, Hemphill I, Cobiac L, et al. (August 2006). “Health benefits of herbs and spices: the past, the present, the future”. Med. J. Aust. 185 (4 Suppl): S4–24. PMID 17022438. ^ a b Lai PK, Roy J; Roy (June 2004). “Antimicrobial and chemopreventive properties of herbs and spices”. Curr. Med. Chem. 11 (11): 1451–60. doi:10.2174/0929867043365107. PMID 15180577. ^ a b Meskin, Mark S. (2002). Phytochemicals in Nutrition and Health. CRC Press. p. 123. ISBN 9781587160837. ^ a b William S. Haubrich (2003). “officina”. Medical meanings: a glossary of word origins. p. 162. ISBN 978-1-930513-49-5. ^ Alma R. Hutchens (1973). Indian Herbology of North America. Shambhala Publications. ISBN 978-0-87773-639-4. ^ “Black cohosh”. National Center for Complementary and Integrative Health. Archived from the original on 2015-03-26. Retrieved 2011-09-30. ^ “Horse chestnut”. National Center for Complementary and Integrative Health. Archived from the original on 2015-01-28. Retrieved 2011-10-04. ^ “Medicinal Plants-White Snakeroot”. Bio.brandeis.edu. Archived from the original on 2013-10-23. Retrieved 2013-11-05. ^ “Water Plantain”. WebMD. Archived from the original on 2015-04-25. ^ Nicole Johnston (April 2002). “Garlic: a natural antibiotic”. Modern Drug Discovery. 5 (4). Archived from the original on 2007-08-17. Cai, Yun; Wang, Rui; Pei, Fei; Liang, Bei-Bei (2007). “Antibacterial Activity of Allicin Alone and in Combination with β-Lactams against Staphylococcus spp. And Pseudomonas aeruginosa”. The Journal of Antibiotics. 60 (5): 335–8. doi:10.1038/ja.2007.45. PMID 17551215. Eja, ME; Asikong, BE; Abriba, C; Arikpo, GE; Anwan, EE; Enyi-Idoh, KH (2007). “A comparative assessment of the antimicrobial effects of garlic (Allium sativum) and antibiotics on diarrheagenic organisms”. The Southeast Asian Journal of Tropical Medicine and Public Health. 38 (2): 343–8. PMID 17539285. Tessema, B; Mulu, A; Kassu, A; Yismaw, G (2006). “An in vitro assessment of the antibacterial effect of garlic (Allium sativum) on bacterial isolates from wound infections”. Ethiopian Medical Journal. 44 (4): 385–9. PMID 17370439. ^ Rahman, K; Lowe, GM (2006). “Garlic and cardiovascular disease: A critical review”. The Journal of Nutrition. 136 (3 Suppl): 736S–740S. doi:10.1093/jn/136.3.736S. PMID 16484553. ^ Gardner, C. D.; Lawson, L. D.; Block, E.; Chatterjee, L. M.; Kiazand, A.; Balise, R. R.; Kraemer, H. C. (2007). “Effect of Raw Garlic vs Commercial Garlic Supplements on Plasma Lipid Concentrations in Adults with Moderate Hypercholesterolemia: A Randomized Clinical Trial”. Archives of Internal Medicine. 167 (4): 346–53. doi:10.1001/archinte.167.4.346. PMID 17325296. ^ Dhingra, D; Kumar, V (2008). “Evidences for the involvement of monoaminergic and GABAergic systems in antidepressant-like activity of garlic extract in mice”. Indian Journal of Pharmacology. 40 (4): 175–179. doi:10.4103/0253-7613.43165. PMC 2792615. PMID 20040952. ^ “Kathalai”. Tamilnadu.com. 7 February 2013. Archived from the original on 11 April 2013. ^ “Aloe Vera”. National Center for Complementary and Integrative Health. Archived from the original on 2015-01-28. Retrieved 2011-09-29. ^ Baer, DJ; Rumpler, WV; Miles, CW; Fahey Jr, GC (1997). “Dietary fiber decreases the metabolizable energy content and nutrient digestibility of mixed diets fed to humans”. The Journal of Nutrition. 127 (4): 579–86. doi:10.1093/jn/127.4.579. PMID 9109608. ^ Vuksan, V; Jenkins, DJ; Spadafora, P; Sievenpiper, JL; Owen, R; Vidgen, E; Brighenti, F; Josse, R; et al. (1999). “Konjac-mannan (glucomannan) improves glycemia and other associated risk factors for coronary heart disease in type 2 diabetes. A randomized controlled metabolic trial”. Diabetes Care. 22 (6): 913–9. doi:10.2337/diacare.22.6.913. PMID 10372241. ^ Keithley, J; Swanson, B (2005). “Glucomannan and obesity: A critical review”. Alternative Therapies in Health and Medicine. 11 (6): 30–4. PMID 16320857. ^ Marzio, L; Del Bianco, R; Donne, MD; Pieramico, O; Cuccurullo, F (1989). “Mouth-to-cecum transit time in patients affected by chronic constipation: Effect of glucomannan”. The American Journal of Gastroenterology. 84 (8): 888–91. PMID 2547312. ^ Chen, HL; Sheu, WH; Tai, TS; Liaw, YP; Chen, YC (2003). “Konjac supplement alleviated hypercholesterolemia and hyperglycemia in type 2 diabetic subjects—a randomized double-blind trial”. Journal of the American College of Nutrition. 22 (1): 36–42. doi:10.1080/07315724.2003.10719273. PMID 12569112. ^ Vogl S, Picker P, Mihaly-Bison J, Fakhrudin N, Atanasov AG, Heiss EH, Wawrosch C, Reznicek G, Dirsch VM, Saukel J, Kopp B (2013). “Ethnopharmacological in vitro studies on Austria’s folk medicine – An unexplored lore in vitro anti-inflammatory activities of 71 Austrian traditional herbal drugs”. J Ethnopharmacol. 149 (3): 750–71. doi:10.1016/j.jep.2013.06.007. PMC 3791396. PMID 23770053. ^ “Dong quai (Angelica sinensis [Oliv.] Diels)”. Mayo Clinic. Archived from the original on 2011-10-06. Retrieved 2011-10-18. ^ Max Wichtl (2004). Apii Fructus. Herbal drugs and phytopharmaceuticals. CRC Press. p. 52. ISBN 978-0-8493-1961-7. Retrieved 2011-10-18. ^ “Burdock”. Memorial Sloan-Kettering Cancer Center. Archived from the original on 2011-10-29. Retrieved 2011-10-18. ^ Braga, Pier Carlo; Dal Sasso, Monica; Culici, Maria; Bianchi, Tiziana; Bordoni, Luca; Marabini, Laura (2006). “Anti-Inflammatory Activity of Thymol: Inhibitory Effect on the Release of Human Neutrophil Elastase”. Pharmacology. 77 (3): 130–6. doi:10.1159/000093790. PMID 16763380. ^ Widrig, Reto; Suter, Andy; Saller, Reinhard; Melzer, Jörg (2007). “Choosing between NSAID and arnica for topical treatment of hand osteoarthritis in a randomised, double-blind study”. Rheumatology International. 27 (6): 585–91. doi:10.1007/s00296-007-0304-y. PMID 17318618. ^ a b “Arnica”. drugs.com. Archived from the original on 2017-01-08. ^ “Astragalus”. National Center for Complementary and Integrative Health. Archived from the original on 2015-02-13. Retrieved 2011-09-29. ^ “Belladonna”. National Institute of Health MedlinePlus. Archived from the original on 2011-10-01. Retrieved 2011-10-01. ^ S. Ganguli (June 10, 2002). “Neem: A therapeutic for all seasons” (PDF). Current Science. 82 (11). Archived (PDF) from the original on June 5, 2011. ^ Vogl S, Picker P, Mihaly-Bison J, Fakhrudin N, Atanasov AG, Heiss EH, Wawrosch C, Reznicek G, Dirsch VM, Saukel J, Kopp B (Oct 2013). “Ethnopharmacological in vitro studies on Austria’s folk medicine–an unexplored lore in vitro anti-inflammatory activities of 71 Austrian traditional herbal drugs”. Journal of Ethnopharmacology. 149 (3): 750–71. doi:10.1016/j.jep.2013.06.007. PMC 3791396. PMID 23770053. ^ “Barberry”. Drugs.com. Archived from the original on 2012-06-20. Retrieved 2011-10-18. ^ Gilani A.H. “Focused Conference Group: P16 – Natural products: Past and future? 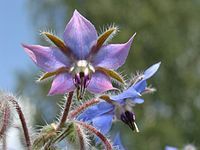 Pharmacological use of borago officinalis”, Basic and Clinical Pharmacology and Toxicology. Conference: 16th World Congress of Basic and Clinical Pharmacology. WorldPharma 2010 Copenhagen Denmark. Publication: (var. pagings). 107 (pp 301), 2010. Date of Publication: July 2010. ^ “qsbgplant-db”. QSBG Database. Archived from the original on 2017-02-02. ^ “Your Guide to the Top 71 Medical Uses of Cannabis”. Green Flower Media. Retrieved 2019-03-17. ^ Randall Kremer (2007). “Ancient Americans liked it hot – Smithsonian study traces Mexican cuisine roots to 1,500 years ago”. The Analyst Magazine. Archived from the original on 2012-04-25. ^ Tso, Yvonne; Love, Bridgette; Ibañez, Rocio Cisneros; Ross, Jamie. “Capsicum spp”. Medicinal Plants of the Southwest. Archived from the original on 2008-05-15. ^ Heinerman, John (1999). The Health Benefits of Cayenne. McGraw-Hill. ISBN 978-0879837037. ^ Gurung, S; Skalko-Basnet, N (2009). “Wound healing properties of Carica papaya latex: In vivo evaluation in mice burn model”. Journal of Ethnopharmacology. 121 (2): 338–41. doi:10.1016/j.jep.2008.10.030. PMID 19041705. ^ John K. Francis. “Senna occidentalis (L.) Link” (PDF). International Institute of Tropical Forestry. Archived (PDF) from the original on 2010-11-22. Retrieved 2011-10-17. ^ “Tropical Plant Database”. Raintree Nutrition. Archived from the original on 2011-10-27. Retrieved 2011-10-17. ^ Johnson, Timothy (1999). CRC Ethnobotany Desk Reference. Boca Raton, FL: CRC Press. p. 178. ISBN 978-0-8493-1187-1. ^ Howard, Michael (1987). Traditional Folk Remedies. Century. ^ “Vetiver”. WebMD. Archived from the original on 2015-04-25. Retrieved 2015-04-06. ^ Joseph P. Remington; Horatio C. Wood, eds. (1918). “Cinchona”. The Dispensatory of the United States of America. ^ “Bitter orange”. National Center for Complementary and Integrative Health. Archived from the original on 2015-04-05. Retrieved 2011-09-30. ^ Antonio Imbesi; Anna de Pascuale (2002). “Citrus species and their essential oils in traditional medicine”. In Giovanni Dugo; Angelo Di Giacomo. Citrus: the genus citrus. CRC Press. pp. 577ff. ISBN 978-0-415-28491-2. ^ “Abuta”. WebMD. Archived from the original on 2015-03-18. Retrieved 2015-04-06. ^ “Blessed thistle”. National Institute of Health MedlinePlus. Archived from the original on 2011-10-02. Retrieved 2011-10-03. ^ “Hawthorn”. National Center for Complementary and Integrative Health. Archived from the original on 2015-04-05. Retrieved 2011-10-04. ^ “Turmeric”. National Center for Complementary and Integrative Health. Archived from the original on 2015-03-18. Retrieved 2011-10-04. ^ “Lady’s Slipper: Information on Uses, Doses, and Side Effects”. Archived from the original on 20 April 2009. Retrieved 15 May 2011. ^ Cichoke, Anthony J (2001). Secrets of Native American herbal remedies: a comprehensive guide to the Native American tradition of using herbs and the mind/body/spirit connection for improving health and well-being (. New York: Penguin Publisher. ISBN 9781101100257. Roxas M, Jurenka J; Jurenka (2007). “Colds and influenza: a review of diagnosis and conventional, botanical, and nutritional considerations”. Alternative Medicine Review. 12 (1): 25–48. PMID 17397266. ^ “Echinacea”. National Center for Complementary and Integrative Health. Archived from the original on 2015-07-05. ^ James D. Adams Jr, Cecilia Garcia; Garcia (2005). “Palliative Care Among Chumash People”. ECAM. 3 (2): 143–147. doi:10.1093/ecam/neh090. PMC 1142202. PMID 15937554. ^ Rolland, A.; Fleurentin, J.; Lanhers, M.C. ; Younos, C.; Misslin, R.; Mortier, F.; Mortier, J.M. (June 1991). “Behavioural Effects of the American Traditional Plant Eschscholzia Californica: Sedative and Anxiolytic Properties”. Planta Medica. 57 (3): 212–216. doi:10.1055/s-2006-960076. PMID 1680240. “Eucalyptus”. Health Notes. Archived from the original on 2009-04-03. Retrieved 2011-10-18. ^ “Eucalyptus spp”. Medicinal Plants for Livestock. Cornell University Department of Animal Science. Archived from the original on 2011-09-27. Retrieved 2011-10-17. ^ “Wahoo”. WebMD. Archived from the original on 2015-04-25. ^ “Euphorbia hirta”. Plants for a Future. Archived from the original on 2016-03-03. Retrieved 2011-10-17. ^ Malcolm Stuart (1987). Encyclopedia Of Herbs & Herbalism. Crescent. ISBN 978-0-517-35326-4. ^ “DoH sees hope in ‘tawa-tawa’ as dengue cure”. Manila Bulletin. August 26, 2011. ^ “Açai”. National Center for Complementary and Integrative Health. Archived from the original on 2015-04-05. Retrieved 2011-09-30. ^ “Asafoetida”. WebMD. Archived from the original on 2015-03-18. Retrieved 2015-04-06. ^ Howard, Michael. Traditional Folk Remedies (century, 1987). pp 142-3. ^ Loy, C; Schneider (25 Jan 2006). “Galantamine for Alzheimer’s disease and mild cognitive impairment”. Cochrane Database Syst Rev (1): CD001747. doi:10.1002/14651858.CD001747.pub3. PMID 16437436. ^ “Ginkgo”. National Center for Complementary and Integrative Health. Archived from the original on 2015-03-29. Retrieved 2011-10-04. ^ Joanne Barnes, Linda A. Anderson, J. David Phillipson, Herbal Medicines, 2nd ed., Pharmaceutical Press, London, 2002. ^ “Licorice root”. National Center for Complementary and Integrative Health. Archived from the original on 2015-03-22. Retrieved 2011-10-04. ^ Guliyev, Vahid Bilaloglu; Mustafa, Gul; Yildirim, Ali (2004). “Hippophae rhamnoides L.: chromatographic methods to determine chemical composition, use in traditional medicine and pharmacological effects”. Journal of Chromatography B. 812 (1–2): 291–307. doi:10.1016/j.jchromb.2004.08.047. PMID 15556505. ^ “Hoodia”. National Center for Complementary and Integrative Health. Archived from the original on 2015-04-05. Retrieved 2011-10-04. 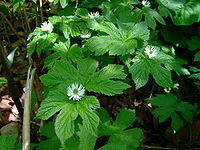 ^ “Goldenseal”. National Center for Complementary and Integrative Health. Archived from the original on 2015-03-25. Retrieved 2011-10-04. Gaster, B.; Holroyd, J (2000). “St John’s Wort for Depression: A Systematic Review”. Archives of Internal Medicine. 160 (2): 152–6. doi:10.1001/archinte.160.2.152. PMID 10647752. Hypericum Depression Trial Study Group (2002). 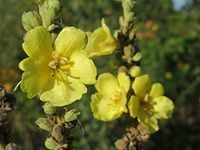 “Effect of Hypericum perforatum (St John’s Wort) in Major Depressive Disorder: A Randomized Controlled Trial”. JAMA. 287 (14): 1807–14. doi:10.1001/jama.287.14.1807. PMID 11939866. ^ “St. John’s wort”. National Center for Complementary and Integrative Health. Archived from the original on 2015-02-06. Retrieved 2011-10-04. ^ “Hyssop: Uses, Side Effects, Interactions, Dosage, and Warning”. www.webmd.com. Retrieved 2019-03-19. ^ Gambero A, Ribeiro ML (January 2015). “The positive effects of yerba maté (Ilex paraguariensis) in obesity”. Nutrients. 7 (2): 730–50. doi:10.3390/nu7020730. PMC 4344557. PMID 25621503. ^ Wichtl, Max, ed. (2004). Herbal Drugs and Phytopharmaceuticals. Medpharm. ISBN 978-0849319617. ^ Sanz, Tenorio; Isasa, Torija (1991). “Mineral elements in mate herb (Ilex paraguariensis St. H.)”. Arch Latinoam Nutr. 41 (3): 441–454. PMID 1824521. ^ Klein, Siegrid; Rister, Robert (1998). The Complete German Commission E Monographs: Therapeutic Guide to Herbal Medicines. The American Botanical Council. ISBN 978-0965555500. ^ Valduga, Eunice; de Freitas, Renato João Sossela; Reissmann, Carlos B.; Nakashima, Tomoe (1997). “Caracterização química da folha de Ilex paraguariensis St. Hil. (erva-mate) e de outras espécies utilizadas na adulteração do mate”. Boletim do Centro de Pesquisa de Processamento de Alimentos (in Portuguese). 15 (1): 25–36. doi:10.5380/cep.v15i1.14033. Archived from the original on 2014-08-26. ^ Bartram, T. (1998). Bartram’s Encyclopedia of Herbal Medicine. London: Robinson Publishing Ltd. ISBN 978-1854875860. ^ Rapini, Ronald P.; Bolognia, Jean L.; Jorizzo, Joseph L. (2007). Dermatology: 2-Volume Set. St. Louis: Mosby. p. 2049. ISBN 978-1-4160-2999-1. ^ “Naturalmedicinalherbs website”. Archived from the original on 2016-11-07. ^ Dónal O’Mathúna; Walt Larimore (2001). Alternative Medicine: The Christian Handbook. Zondervan. p. 318. ISBN 978-0-310-23584-2. ^ “Chaparral”. Herbs, Vitamins, and Minerals. Archived from the original on 2011-10-02. ^ Nayak, et al. (2006). ^ Encyclopedia of Herbs. 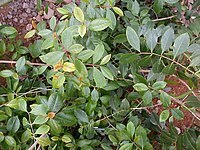 “Bay Laurel: Laurus nobilis”. AllNatural.net. Archived from the original on 19 November 2010. Retrieved 2010-12-31. ^ “Lavender”. National Center for Complementary and Integrative Health. Archived from the original on 2015-01-18. Retrieved 2011-10-04. ^ Alia, BH; AK, Bashir; MOM, Tanira (1995). “Anti-Inflammatory, Antipyretic, and Analgesic Effects of Lawsonia inermis L. (Henna) in Rats”. International Journal of Experimental and Clinical Pharmacology. 51 (6): 356–363. doi:10.1159/000139347. PMID 8966192. ^ “Flaxseed”. National Center for Complementary and Integrative Health. Archived from the original on 2015-03-26. Retrieved 2011-10-04. ^ International Medical and Surgical Survey: Obstetrics and pediatrics. American Institute of Medicine. 1921. p. 143. Retrieved 11 December 2013. ^ “Chamomile”. National Center for Complementary and Integrative Health. Archived from the original on 2015-03-29. Retrieved 2011-09-30. ^ “Alfalfa”. National Institute of Health MedlinePlus. Archived from the original on 2011-10-02. Retrieved 2011-09-29. ^ “Tea tree oil”. National Center for Complementary and Integrative Health. Archived from the original on 2015-03-24. Retrieved 2011-10-04. ^ “Monograph: Lemon Balm”. Health Canada. 17 March 2008. Archived from the original on 30 March 2017. Retrieved 8 October 2016. ^ “Peppermint Oil”. National Center for Complementary and Integrative Health. Archived from the original on 2015-04-05. Retrieved 2011-10-04. ^ “Herbal”. Herbal. Archived from the original on 4 July 2016. Retrieved 9 June 2016. ^ “Noni”. National Center for Complementary and Integrative Health. Archived from the original on 2015-04-05. Retrieved 2011-10-04. ^ “Watercress”. WebMD. Archived from the original on 2015-04-25. ^ “Sacred Lotus”. Drugs.com. Archived from the original on 2017-07-18. ^ Ali BH, Blunden G (2003). “Pharmacological and toxicological properties of Nigella sativa”. Phytother Res. 17 (4): 299–305. doi:10.1002/ptr.1309. PMID 12722128. ^ Sahebkar A, Soranna D, Liu X, et al. (2016). “A systematic review and meta-analysis of randomized controlled trials investigating the effects of supplementation with Nigella sativa (black seed) on blood pressure”. J Hypertens. 34 (11): 2127–35. doi:10.1097/HJH.0000000000001049. PMID 27512971. ^ “Evening primrose oil”. National Center for Complementary and Integrative Health. Archived from the original on 2015-03-23. Retrieved 2011-10-04. ^ Dónal O’Mathúna; Walt Larimore (2001). Alternative Medicine: The Christian Handbook. Zondervan. pp. 371–372. ISBN 978-0-310-23584-2. ^ “Jamaica dogwood”. WebMD. Archived from the original on 2015-09-12. Retrieved 2013-08-26. ^ Costello, Christopher H.; Butler, Calvin L. (2006). “An investigation of Piscidia erythrina (Jamaica dogwood)”. Journal of the American Pharmaceutical Association. 37 (3): 89–97. doi:10.1002/jps.3030370302. PMID 18905805. ^ Vogl S, Picker P, Mihaly-Bison J, et al. (October 2013). “Ethnopharmacological in vitro studies on Austria’s folk medicine–an unexplored lore in vitro anti-inflammatory activities of 71 Austrian traditional herbal drugs”. Journal of Ethnopharmacology. 149 (3): 750–71. doi:10.1016/j.jep.2013.06.007. PMC 3791396. PMID 23770053. ^ “Abscess Root”. WebMD. Archived from the original on 2015-03-18. Retrieved 2015-04-06. ^ “Guava”. Drugs.com. Archived from the original on 2011-08-12. Retrieved 2011-10-17. ^ J. Hawrelak (2003). 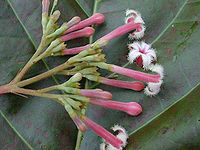 “Medicinal herb monograph: Guava”. J Aust Tradit-Med Soc (9): 25–29. ^ “Wafer Ash”. WebMD. Archived from the original on 2015-04-25. ^ Ferrari, A; Diehl, C (2012). “Evaluation of the efficacy and tolerance of a topical gel with 4% quassia extract in the treatment of rosacea”. J Clin Pharmacol. 52 (1): 84–8. doi:10.1177/0091270010391533. PMID 21343346. ^ “Mureer”. Qatar e-Nature. Retrieved 21 February 2019. ^ “Fruit teas Rose (Rosa vosagiaca, rosa majalis, rosa canina, rosa rugosa etc.)”. Gurmans. Archived from the original on 12 April 2013. Retrieved 6 February 2013. ^ “Rumex Crispus”. abchomeopathy.com. Archived from the original on 2014-03-06. ^ Mahdi JG, Mahdi AJ, Mahdi AJ, Bowen ID (2006). “The historical analysis of aspirin discovery, its relation to the willow tree and antiproliferative and anticancer potential”. Cell Proliferation. 39 (2): 147–155. doi:10.1111/j.1365-2184.2006.00377.x. PMID 16542349. ^ Akhondzadeh, S.; Noroozian, M.; Mohammadi, M.; Ohadinia, S.; Jamshidi, A. H.; Khani, M. (2003). “Salvia officinalis extract in the treatment of patients with mild to moderate Alzheimer’s disease: A double blind, randomized and placebo-controlled trial”. Journal of Clinical Pharmacy and Therapeutics. 28 (1): 53–9. doi:10.1046/j.1365-2710.2003.00463.x. PMID 12605619. ^ “Sage”. National Center for Complementary and Integrative Health. Archived from the original on 2015-05-27. ^ “European Elderberry”. National Center for Complementary and Integrative Health. Archived from the original on 2015-04-05. Retrieved 2011-10-04. ^ Misra, BB; Dey, S (2013). 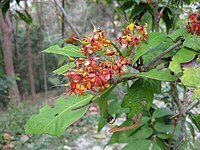 “Biological Activities of East Indian Sandalwood Tree, Santalum album”. PeerJ PrePrints. 1: e96. doi:10.7287/peerj.preprints.96v1. ^ “Herbs – Ashoka”. Tamilnadu.com. 25 February 2013. Archived from the original on 11 April 2013. ^ Güllüce, M.; Sökmen, M.; Daferera, D.; Aǧar, G.; Özkan, H.; Kartal, N.; Polissiou, M.; Sökmen, A.; Şahi̇n, F. (2003). “In Vitro Antibacterial, Antifungal, and Antioxidant Activities of the Essential Oil and Methanol Extracts of Herbal Parts and Callus Cultures of Satureja hortensis L”. J. Agric. Food Chem. 51 (14): 3958–3965. doi:10.1021/jf0340308. PMID 12822930. ^ Şahin, F.; Karaman, İ.; Güllüce, M.; Öğütçü, H.; Şengül, M.; Adıgüzel, A.; Öztürk, S.; Kotan, R. (2003). “Evaluation of antimicrobial activities of Satureja hortensis L”. Journal of Ethnopharmacology. 87 (1): 61–65. doi:10.1016/S0378-8741(03)00110-7. PMID 12787955. ^ Mihajilov-Krstev, T.; Radnović, D.; Kitić, D.; Zlatković, B.; Ristić, M.; Branković, S. (2009). “Chemical composition and antimicrobial activity of Satureja hortensis L. essential oil”. Central European Journal of Biology. 4 (3): 411–416. doi:10.2478/s11535-009-0027-z. ^ Chandrasekaran M., Senthilkumar A., Venkatesalu V “Antibacterial and antifungal efficacy of fatty acid methyl esters from the leaves of Sesuvium portulacastrum L. “. European Review for Medical and Pharmacological Sciences. 15 (7) (pp 775-780), 2011. ^ Froelich S.; et al. (2008). “Phenylethanoid glycosides from Stachytarpheta cayennensis (Rich.) Vahl, Verbenaceae, a traditional antimalarial medicinal plant”. Revista Brasileira de Farmacognosia. 18 (4): 517–20. doi:10.1590/s0102-695×2008000400003. ^ Adebajo A. C.; et al. (2007). “Hypoglycaemic constituents of Stachytarpheta cayennensis leaf”. Planta Med. 73 (3): 241–50. doi:10.1055/s-2007-967125. PMID 17318784. ^ Schapoval E. E.; et al. (1998). “Antiinflammatory and antinociceptive activities of extracts and isolated compounds from Stachytarpheta cayennensis”. J Ethnopharmacol. 60 (1): 53–9. doi:10.1016/s0378-8741(97)00136-0. PMID 9533432. ^ Wiest, Renee. “Chickweed”. hartonweb.com. Good Health Herbs. Archived from the original on 2015-12-22. Retrieved 15 Dec 2015. ^ T.M. Teynor; D.H. Putnam; J.D. Doll; K.A. Kelling; E.A. Oelke; D.J. Undersander; E.S. Oplinger (1997). “Comfrey”. Alternative Field Crops Manual. University of Wisconsin Extension, University of Minnesota Extension. Archived from the original on 2011-11-10. Retrieved 2011-10-18. Raymond Tice (October 2007). “Comfrey and One of Its Constituent Alkaloids Symphytine, Review of Toxicological Literatur” (PDF). Archived from the original (PDF) on 2012-04-01. Retrieved 2011-10-18. ^ “Clove”. National Institute of Health MedlinePlus. Archived from the original on 2016-07-05. ^ “Feverfew”. National Center for Complementary and Integrative Health. Archived from the original on 2015-03-31. Retrieved 2011-10-04. ^ “Dandelion”. National Center for Complementary and Integrative Health. Archived from the original on 2015-05-27. ^ “Water Germander”. WebMD. Archived from the original on 2015-04-25. ^ Sifton, David W., ed. (2000). The PDR Family Guide to Natural Medicines & Healing Therapies. Random House Digital, Inc. p. 535. ISBN 978-0-345-43377-0. ^ Grieve, M. “Lime Tree”. Botanical.com. Archived from the original on 2014-03-04. 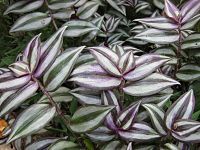 ^ “Wandering Jew / Spiderwort”. Project Noah. Archived from the original on 2016-09-27. Retrieved 2016-09-25. ^ Eckman, Karlyn; Hines, Deborah A. (1993). “Trema orientalis”. Indigenous multipurpose trees of Tanzania: uses and economic benefits for people. FAO Forestry Department. Archived from the original on 2010-06-16. Retrieved 2010-03-02. 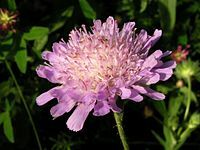 ^ “Red clover”. National Center for Complementary and Integrative Health. Archived from the original on 2015-05-27. ^ “Fenugreek”. National Center for Complementary and Integrative Health. Archived from the original on 2015-03-30. Retrieved 2011-10-04. ^ “Wheatgrass”. WebMD. Archived from the original on 2015-04-25. ^ a b Prabhahar C.; et al. (2012). “Studies on the antifungal activity of Turnera subulata and Acacia nilotica against pathogenic fungal pathogens” (PDF). International Journal of Recent Scientific Research. 3 (3): 149–54. Archived (PDF) from the original on 2015-07-15. ^ “Cat’s claw”. National Center for Complementary and Integrative Health. Archived from the original on 2015-04-05. Retrieved 2011-09-30. ^ Vogl, S; Picker, P; Mihaly-Bison, J; Fakhrudin, N; Atanasov, AG; Heiss, EH; Wawrosch, C; Reznicek, G; Dirsch, VM; Saukel, J; Kopp, B (2013). “Ethnopharmacological in vitro studies on Austria’s folk medicine – An unexplored lore in vitro anti-inflammatory activities of 71 Austrian traditional herbal drugs”. J Ethnopharmacol. 149 (3): 750–71. doi:10.1016/j.jep.2013.06.007. PMC 3791396. PMID 23770053. ^ Prior, Ronald L.; Cao, Guohua; Martin, Antonio; Sofic, Emin; McEwen, John; O’Brien, Christine; Lischner, Neal; Ehlenfeldt, Mark; et al. (1998). 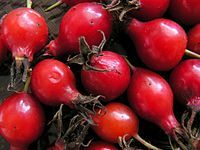 “Antioxidant Capacity As Influenced by Total Phenolic and Anthocyanin Content, Maturity, and Variety ofVacciniumSpecies”. Journal of Agricultural and Food Chemistry. 46 (7): 2686–93. doi:10.1021/jf980145d. ^ M.A.L. Smith; K.A. Marley; D. Seigler; K.W. Singletary; B. Meline (2000). 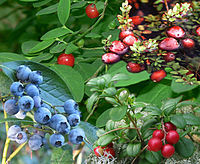 “Bioactive Properties of Wild Blueberry Fruits”. Journal of Food Science. 65 (2): 352–356. doi:10.1111/j.1365-2621.2000.tb16006.x. ^ Howell, Amy B.; Vorsa, Nicholi; Marderosian, Ara Der; Foo, Lai Yeap (1998). “Inhibition of the Adherence of P-FimbriatedEscherichia colito Uroepithelial-Cell Surfaces by Proanthocyanidin Extracts from Cranberries”. New England Journal of Medicine. 339 (15): 1085–6. doi:10.1056/NEJM199810083391516. PMID 9767006. ^ “Bilberry”. National Center for Complementary and Integrative Health. Archived from the original on 2015-04-05. Retrieved 2011-09-30. ^ “Valerian”. National Center for Complementary and Integrative Health. Archived from the original on 2015-04-05. Retrieved 2011-10-04. ^ Turker, Arzu Ucar; N. D. Camper (October 2002). 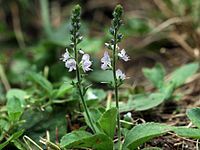 “Biological activity of common mullein, a medicinal plant”. Journal of Ethnopharmacology. 82 (2–3): 117–125. doi:10.1016/S0378-8741(02)00186-1. PMID 12241986. ^ “Verbena”. WebMD. Archived from the original on 2015-04-27. Retrieved 2015-04-06. ^ “Veronica”. WebMD. Archived from the original on 2016-03-04. Retrieved 2015-04-06. ^ “Mistletoe”. National Center for Complementary and Integrative Health. Archived from the original on 2015-04-05. Retrieved 2011-10-04. ^ “Chasteberry”. National Center for Complementary and Integrative Health. Archived from the original on 2015-04-05. Retrieved 2011-09-30. ^ “Grape seed”. National Center for Complementary and Integrative Health. Archived from the original on 2015-03-26. Retrieved 2011-10-13. ^ Mirjalili, M. H.; Moyano, E.; Bonfill, M.; Cusido, R. M.; Palazón, J. (2009). 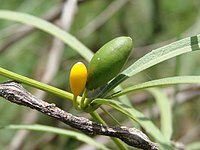 “Steroidal Lactones from Withania somnifera, an Ancient Plant for Novel Medicine”. Molecules. 14 (7): 2373–2393. doi:10.3390/molecules14072373. PMC 6255378. PMID 19633611. ^ “Xanthoparmelia”. WebMD. Archived from the original on 2015-04-25. ^ “Naturalmedicinalherbs website”. Archived from the original on 2017-10-26. ^ “Ginger quells nausea from chemotherapy”. CBCNews.ca. May 15, 2009. Archived from the original on May 18, 2009. Bown, Deni (1995). Encyclopedia of herbs and their uses. Dorling Kindersley. ISBN 978-0-7894-0184-7. Archived from the original on 2015-07-15. Mitchell, William; Bastyr, John B. (2003). Plant medicine in practice: using the teachings of John Bastyr. Churchill Livingstone. ISBN 978-0-443-07238-3. Harrod Buhner, Stephen (1996). Sacred plant medicine: explorations in the practice of indigenous herbalism. Roberts Rinehart Publishers. ISBN 978-1570980916. Cech, Richard A.; Cech, Sena K.; Gunter, Anne (2000). Making Plant Medicine. Horizon Herbs. ISBN 978-0-9700312-0-4. Hoffmann, David (2003). Medical herbalism: the science and practice of herbal medicine (Google eBook). Inner Traditions / Bear & Co. ISBN 978-0-89281-749-8. Garrett, J. T. (2003). 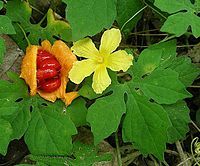 The Cherokee herbal: native plant medicine from the four directions. Inner Traditions / Bear & Co. ISBN 978-1-879181-96-0. Cowan, Eliot (1996). Plant Spirit Medicine: The Healing Power of Plants. Granite Publishing. ISBN 978-1-893183-11-7. Neuwinger, H.D. (2000). African traditional medicine: a dictionary of plant use and applications. Stuttgart, Germany: Medpharm Scientific. ISBN 978-3-88763-086-7. Barnes, Joanne; Anderson, Linda A.; Phillipson, J.D. (2007). Herbal Medicines (3rd ed.). London: Pharmaceutical Press. ISBN 978-0-85369-623-0.